Do you find yourself spending a whole lot of time outdoors in the summer? My family spends loads of time outdoors throughout the summer. That means I need to stock up on two things: sun lotion and bug spray. I don’t know about you, but the mosquitoes love me. They always have. If there’s a mosquito anywhere nearby, it will hone in on me, bite me (even through clothing), and then tell all of its friends where to find me. Unfortunately, The Heir has inherited this trait from me, and has often found himself the victim of what can only be described as a mosquito attack. I’ll be honest, I don’t love traditional insect repellant. I dislike the smell, and really dislike the ingredients. I don’t want to use it, but I haven’t found an effective alternative until now. One of my favourite Canadian brands is Les Produits de MaYa. Their liniment is a product I use every single day, their whipped CoKa body lotion is so hydrating, and their outdoor protective cream is perfect for Petit Prince’s sensitive skin. Now they’ve created a natural and effective insect repellant called In The Woods. In The Woods is a mosquito and tick repellant made with natural ingredients and is certified vegan. With an olive oil base, apple cider vinegar, and five essential oils, In The Woods is hydrating, effective, and smells way better than traditional bug repellant! I feel confident using In The Woods on The Heir (he’s almost 5) and on Petit Prince (2), and I use it on myself too! The best part? The mosquitoes seem to leave all of us alone when we’re using Les Produits de MaYa’s In The Woods. With the addition of In The Woods, Les Produits de MaYa has all the essentials you need to survive the summer with little ones! Here’s your chance to win one Les Produits de MaYa Summer Survival prize pack! Included in this prize pack is a 120ml In The Woods, a 120ml Outdoor Protective Cream, a 180ml original Liniment, a 60ml coco & shea Liniment, and a bar of Les Produits de MaYa’s vegan soap. This Les Produits de MaYa Summer Survival prize pack is valued at $50! Just scroll all the way down to the giveaway for a chance to win! This giveaway is open to US & Canadian residents, 18+. Can’t wait to get your hands on Les Produits de MaYa’s products? 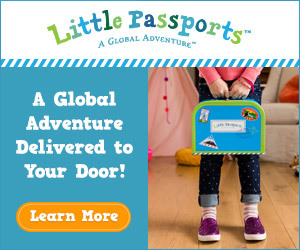 You can shop for Les Produits the MaYa products through my affiliate link at Calgary Cloth Diaper Depot where shipping to Canada and the USA is always free! 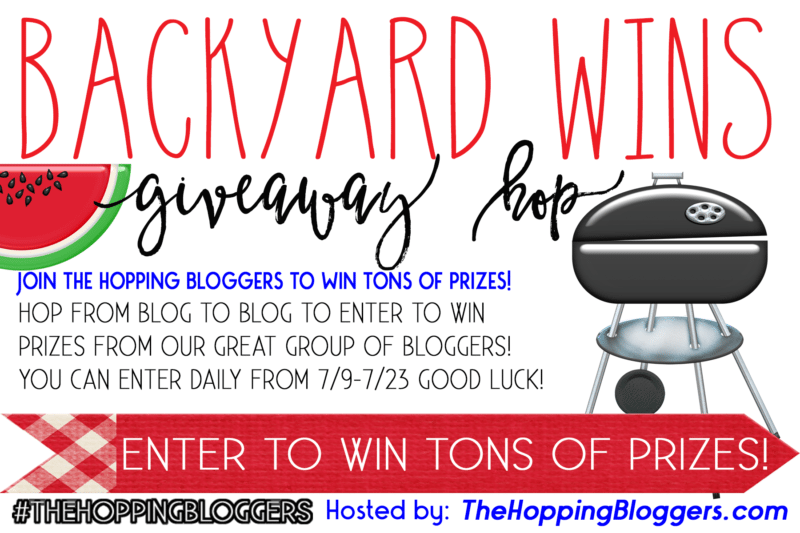 Disclosure: Hosts & participating hop bloggers of the Backyard Wins Giveaway Hop are not responsible for sponsors or self-sponsoring bloggers that do not fulfill prize obligations. Facebook, Twitter, Pinterest and any other social media are not affiliated with this giveaway. Open to Canadian & US residents, 18+ only. No purchase necessary. Void where prohibited by law. Prize fulfillment is the responsibility of the sponsor(s). For questions or to see your product featured on The Monarch Mommy blog contact Stefanie at http://themonarchmommy.com/work-with-me/. I’m most excited to try In the Woods because there are a lot of bugs where we live. The CoKa Whipped Body Butter would be good for all of us and good for all year round. We re surrounded by forest so i would love to try the Woods to protect us! I’d love to try the bug spray because I also seem to get bitten through clothes! There’s lots of mosquitoes here, so I’d like to try In the Woods bug spray. I would like to try In The Woods. Mosquitos love me and I do not like the smell of most insect repellents. I would like to try this one since it is made from natural ingredients. Thanks for hosting this giveaway. I would love to try In The Woods, wonder if it would work on me, it seems like everything I use it doesn’t matter they still eat me alive!! I would really like to try the outdoor protective cream. I love to try the woods. Mosquitos seem to be only around me when outside. Definitely “In the Woods” is at the top of what I want to try. Mosquitoes eat me alive. I’m most excited to try the vegan soap. Sounds gentle and natural. I love their liniment. I’m excited to try the mosquito repellent! I would love to try the product,In The Woods,we go camping a lot and my son gets ravaged by mosquitoes so I would love to try this. I am most excited to try the The oleo-calcareous ointment : for multiple uses. I want to try In The Woods. We just bought a camper and have been outdoors day and night —– really worried about the kids getting a tick! I’d like to try In the Woods because I’m looking for natural mosquito and big deterrents for our family for just the back yard! I am a big body butter fan so i would like to try the Coka Whipped Body Butter. I would like the outdoor protective cream. I would like to try the Coka Whipped Body Butter. I am most excited to try In The Woods because the mosquitoes are so bad this year. I can’t go out without putting on repellent and I would like to try this one. The CoKa Whipped Body Butter would be okay! I love camping so, I would love to try the In the woods product.. I have woodlands all around my house, so In the Woods would be a good product for me. l like the Vegan Soap because the soap contains no traces of animal products. Beeswax has been replaced by carnauba wax, which is a 100% vegetable product. EXCITED TO TRY THE COKA WHIPPED BODY BUTTER! The Coka Whipped Body Butter is a product I could certainly use. I wouldl ike to try coka whipped body butter. I would like to try the “Coka Whipped Body Butter”. i’d love to try in the woods! I would love to try the vegan soap! I would love to try the vegan soap. I would have to say I am most excited to try the CoKa whipped body butter. I like that it is certified Vegan. I found with all my seven kids that mosquitoes loved them. I thought it perhaps had something to do with the smell of milk on them but I have recently read this “Because babies produce more CO2, so more pull and better attraction and finally bites bites bites”. In the Woods is what I’d like to try, we have a small lake at the back of the house and of course there are plenty of mossies. Your body butters look fantastic and also the vegan soap would be another thing I would like to try. The Outdoor protective cream would be great. I like the whipped body butter. I’m equally as excited to try the Outdoor Protective Cream and In the Woods. I’d like their vegan soap! The oleo-calcareous ointment contains some great ingredients that my physician has recommended to me. I’m most excited to try the In The Woods spray! I am definitely going to try their In The Woods product. It has great reviews and I need something that really works. Thanks for introducing me to these products and for the super giveaway opportunity. I’d be so excited to try the CoKa whipped body butter! I would love to try the Coka Whipped Body Butter. It sounds great and I like the packaging too! I would try woods because I hate bugs! I’d love to try the insect spray. Mosquitos have been so bad this year. I am most excited to try their Savon Vegane. I bet their soap is much better than the soap that I currently use. I’d most like to try the Outdoor Protective Cream. Thanks. I’m most interested in In The Woods as a more natural solution for mosquito repellent. This sounds like an awesome way to keep the skeeters away! I’d try the outdoor protective cream. We are going on a few last camping trips this summer. CoKa whipped body butter sounds heavenly. That is one of their products I would love to try! I like the Coka whipped body butter. I would like to try the Outdoor protective cream. I am totally unaware of vegan soap, find it really interesting and would love to try it. I’d like the try the ointment for my dry skin! I’m most excited to try the CoKa body butter. Just ordered my first set of products from them, can’t wait to try them out!